Carbon black has long been combined with rubber to be used as a filler in the tire manufacturing process. Carbon black is sourced from petroleum and many tire manufacturers are facing supply issues. In a bid to improve sustainability and reduce the dependence on carbon black derived from petroleum, researchers have been investigating many alternatives. Scientists at Ohio State University found that when food waste, especially eggshells and tomato peels are used as filler in making rubber tires, they not only meet but exceed industrial norms for performance. When food waste is used instead of carbon black, it kills two birds with one stone – it reduces food wastage and reduces the requirement for carbon black. This approach to using more environment-friendly materials as substitutes complements the efforts by vehicle manufacturers to switch to cleaner fuels and can make the production of tires more sustainable, according to Katrina Cornish, who holds an endowed chair in biomaterials at Ohio State University. Generally, 20 per cent of the waste that goes to landfills consists of food, according to the Environmental Protection agency in the United States. Making any effort to reduce this will go a long way towards fighting against climate change and saving space. When food goes into landfills, bacteria act on it to produce methane, which is a greenhouse gas. As part of this research, Cornish sourced as many as 35 types of food waste like milk dust powder, tomato peels and eggshells. Egg shells are composed mainly of calcium carbonate which is generally used as an extender. 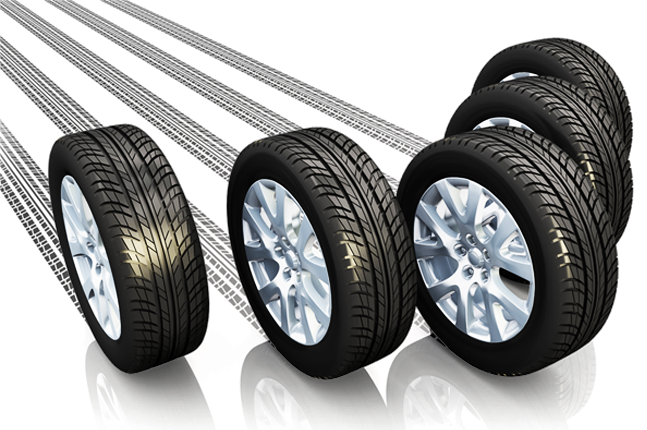 What is needed in the case of tires, though is a reinforcer. However, eggshells have a porous design which creates a larger surface area for contact with rubber and hence proved to have good reinforcing properties. Tomato peels proved to be very stable at high temperatures, and hence can be used to generate material that performs well. Though fillers are highly useful for making the rubber in the tires stronger, they also to some extent, limit its flexibility. Using ground eggshells and tomato peels created synergy so that rubber can retain flexibility to a greater level. It also affected the quality of the rubber, turning it reddish-brown depending on the amount of eggshells or tomato peel used. When carbon black is used, tires are black. Conventionally, about 30 percent of a tire is comprised of carbon black and the price of carbon black varies with the price of petroleum. Both eggshells and tomato skins contribute to landfills. Tomato skilns are difficult to digest and the eggshells which are loaded with minerals do not break down easily. If instead of contributing to the immense waste problem that the world is already facing, these materials are used in tires, this is definitely an innovative solution that will be of immense benefit both to the tire industry and the environment. Ohio State University has licensed Cornish’s technology for turning food waste into tire filler to her company, EnergyEne for further development. Provided all goes well, we will soon be using tires that are green in every sense of the word.